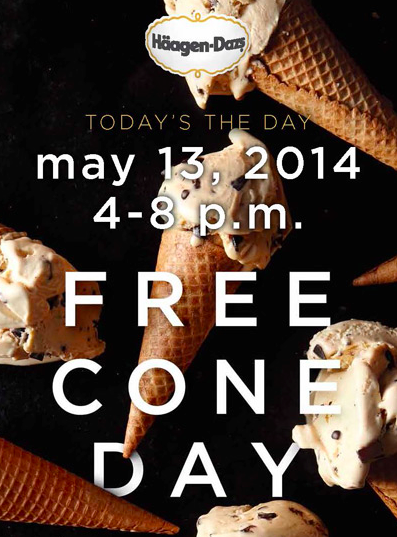 Free Cone @ Haagen-Dazs Today Only!! Stop by your local Haagen-Dazs shop today between 4pm-8pm for a FREE cone of your favorite flavor! Find your nearest Haagen-Dazs location HERE! No coupon required.